"Manchester has all the attributes and qualities you would expect from a major metropolitan city and I can think of no better team than Chris and Adele to help grow the brand"
London Money has appointed Chris Barker as director of Manchester Money - its new, directly authorised regional partnership. With the arrival of Barker, Manchester Money is now able to give regulated first and second charge advices as well as other regulated activities including protection. Barker has been an adviser for eight years and joins Manchester Money from an AR of Mortgage Advice Bureau. 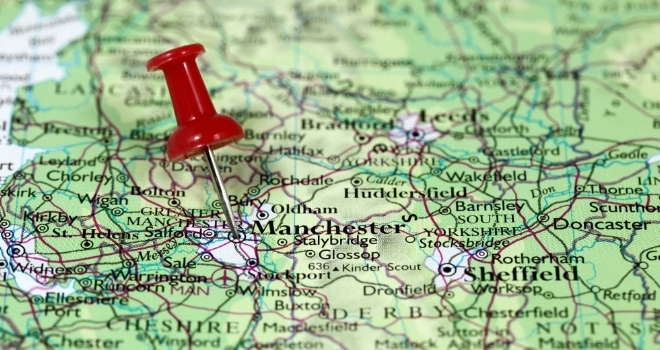 Manchester Money will sit alongside its sister company Manchester Money Commercial, headed by Adele Turton. Martin Stewart, director of London Money, said: “Don’t ever under estimate the power of a flirtatious tweet. I sent one to Chris two year ago and after many subsequent meetings and discussions we are delighted to welcome to the group a genuine talent, disruptor and visionary. "Manchester has all the attributes and qualities you would expect from a major metropolitan city and I can think of no better team than Chris and Adele to help grow the brand from there." Barker commented: “I have watched with interest the work that Martin and Scott have been doing at London Money and I was keen to be a part of a broker-led revolution. "Their model allows me to own a significant stake in the business but without sacrificing my personal income. I now have control of a business and a brand whist also being part of a larger group that are all focused and moving in the same direction. "Furthermore, I have also always wanted to be directly authorised so when opportunity meets desire you have to act decisively."